The sweet and tangy flavors of Italian tangerines are captured in Tangerine Agrumato by its unique whole-fruit and olive crushing process. Tangerine Agrumato is a rare and new-age Italian condiment. Whole sweet tangerines are crushed together with the olives in the traditional cold-extraction method to seal the essential oils of the small tangerine zest in the resulting extra virgin olive oil. 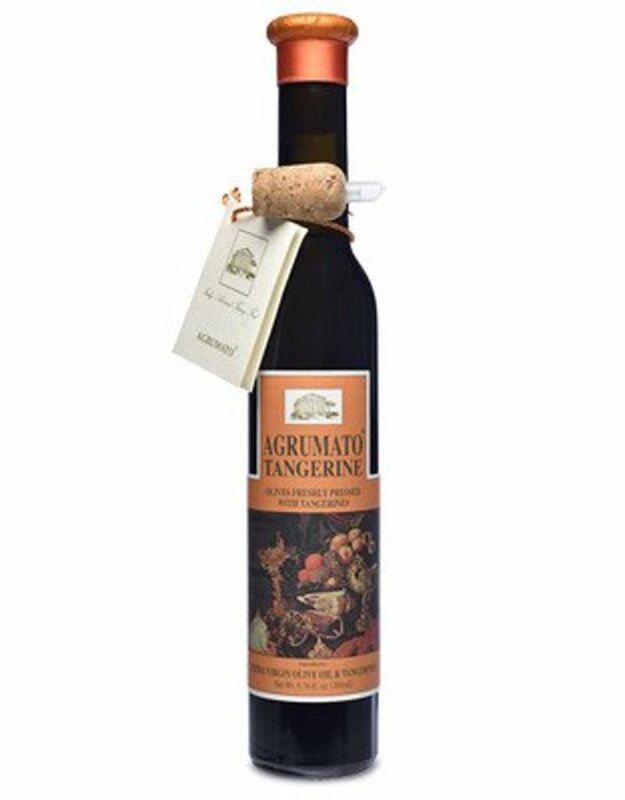 AGRUMATO® is produced by using only olives and citrus strictly free from harmful substances and carefully selected for ripeness and flavor. 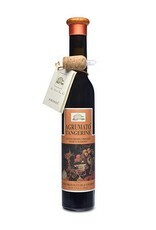 The two ingredients are crushed simultaneously in a state-of-the-art frantoio (olive mill). When the resulting paste has obtained the right density the AGRUMATO® is extracted through high-speed centrifugation. In the region of Abruzzo and many parts of Southern Italy, olive farmers have traditionally created citrus oils for family and friends but was kept always at home for personal use, never sold. Olive mills and presses were often cleaned and refreshed at the end of the season by combing whole citrus fruit with the olives and crushed together. This oil was only used as a table top condiment, and never for cooking. - Drizzle on a salad, and over grilled asparagus. - Toss with steamed broccoli and green beans. - Sprinkle over a salad of arugula, fennel, and citrus slices. - Pour over grilled shrimp and grilled salmon.